This is a range of demo apps, all of which are aimed at for deployment to Azure and Docker containers. These are designed for demos and hands on lab exercises, to be used with Azure and DevOps CI & CD scenarios, where you need “something” to deploy and push through the pipeline or to demonstrate another Azure service. Most of the apps are small simple web applications but they are designed for ease of deployment, showcasing use of open source in Azure and running within containers, rather than complete rigid examples of a fully functioning architecture. 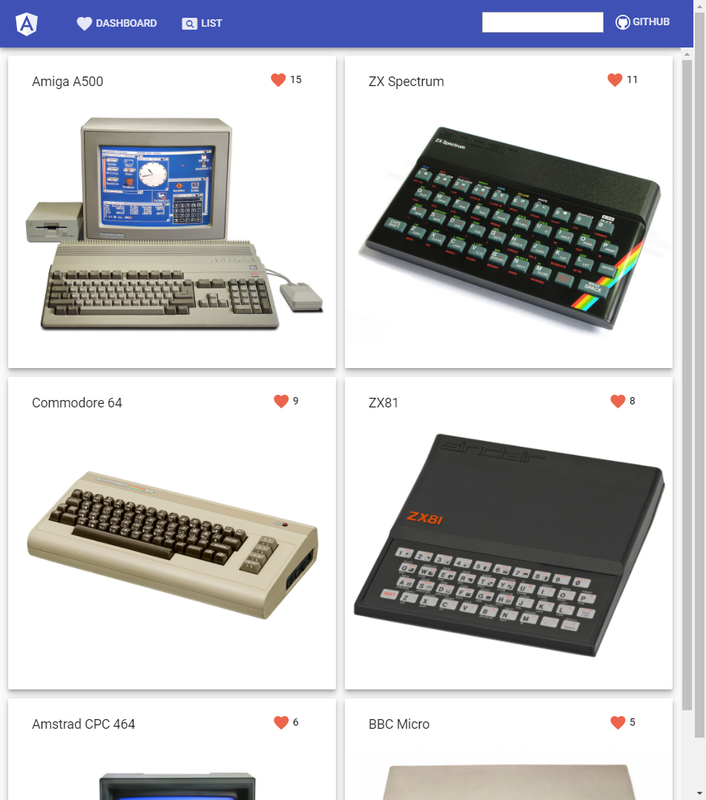 This is a simple web application with a Go server/backend and a Vue.js SPA (Single Page Application) frontend. 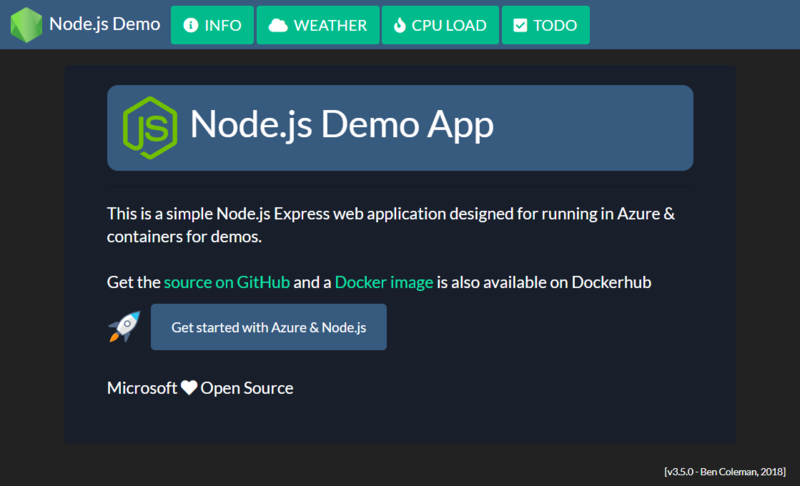 Designed for running in Azure & containers for demos. INFO - Will show some system & runtime information, and will also display if the app is running from within a Docker container. Based on the standard .NET Core 2.0 template (dotnet new), but further modified and jazzed up a little. 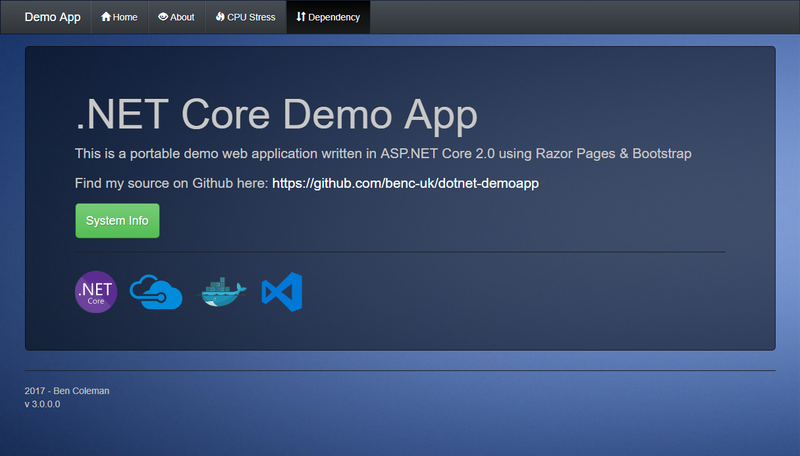 The app was recently updated to use Razor Pages rather than MVC, which fits the simple demo app use case better. The ‘About’ page displays some system basic information (OS, platform, CPUs, IP address etc) and should detect if the app is running as a container or not. 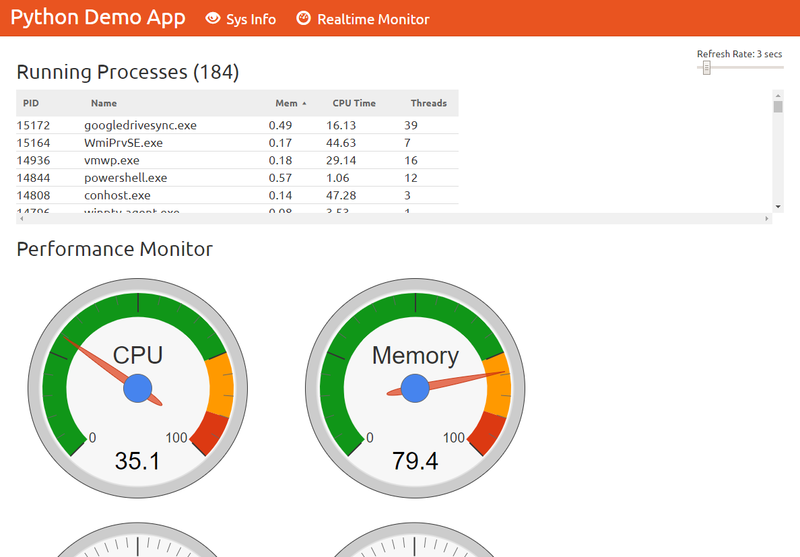 The ‘Stress’ page will generate CPU load, useful for testing autoscaling. Web application written in Python using the Flask framework. 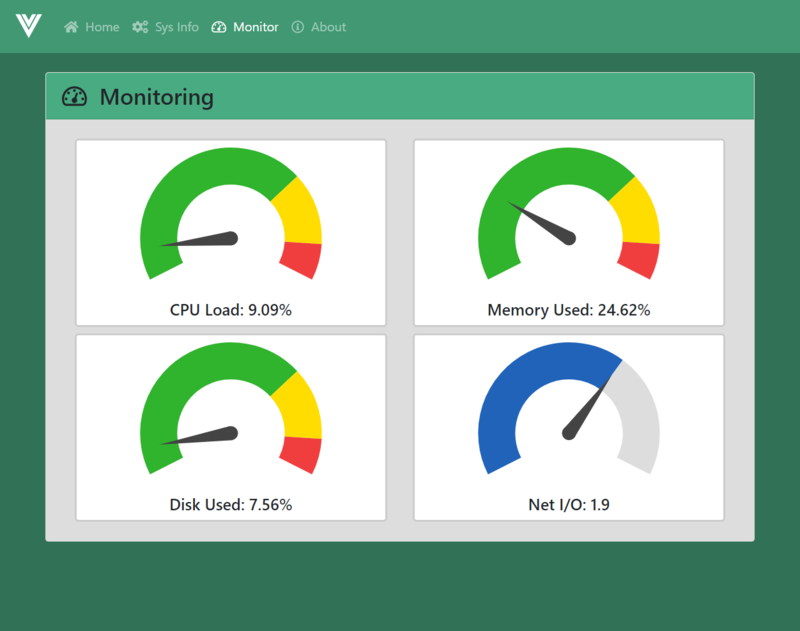 The app provides system information and a realtime monitoring screen with dials showing CPU, memory, IO and process information.